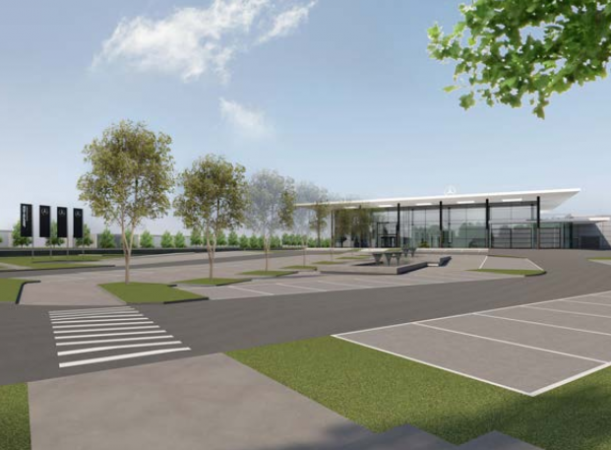 The brand new Mercedes-Benz car dealership is situated on a brownfield site in Stockport and is envisaged as a landmark destination. The purpose built three storey facility will hold 140 vehicles, including 32 workshop bays, a high-tech body centre and a paint repair centre. Operated by LSH Auto UK, the scheme will allow for 40 new models to be showcased and will become the bench-mark in supporting their electric car strategy. Brentwood were appointed by Imtech to advance the Client's consultants MEP design from schematic stage through to detailed and installation drawings in a 3D modelling environment.